Shingster wrote: You've got to be joking, I ain't wading through three years worth of comparison reviews just because you're too idle to use the search engine! I do but no I wasn't kidding . Is there something I need to keep in mind when taking screenshots? I mean can I do something horribly wrong by simply starting the movie in VLC and hitting "Print" like a psychopath? Or is there more to the art of taking a proper screenshot to really represent the picture quality of a DVD? One thing that I thought of myself is obviously using a lossless picture format like png instead of jpg. What else? 1) see if there is a screencapture button somewhere in the player rather than using print screen. But I guess print screen would do as well. 2) try taking some screencaps and compare them screencaps that you can find on this forum. See if they look identical. If not, let's try to figure out why. Some picture enhancement setting might be turned on. 3) also see if you can set the screencapture size from the player settings. Most of the old caps here are in 720 x 404 (anamorphic) / 720 x 540 (non-anamorphic) size, but these days you'd probably want to use a bigger size like 1024 × 576 (anamorphic) / 1024 x 768 (non-anamorphic) and of course full 1920 x 1080 for blu-rays. If you're making a comparison, try to make the caps the same size with the caps you are comparing them to. I'm still using PowerDVD for most screencaps. Taking screencaps used to be all the rage, but as I don't have a BD drive I haven't done so for a long time. I used Media Player Classic, which has a Save Image option. You can then resize them in a program like Paint. I'm using VLC 2.1.6 and it indeed has a button for screencaps. I just found this 8 year old thread about A Chinese Ghost Story which I'll use for reference (I have the EMS DVD). I'll just start playing around, maybe new questions rise up, I'll post them here if you guys don't mind if I'm somewhat hijacking this thread? The resolution seems to be fine (both 1024x576) but if you look closely the colors are slightly different. Is this due of image compression? HungFist used jpg while I'm using png. Or is there another reason? I just converted my png with gimp to jpg and the screenshot hasn't really changed that much. Maybe it is just not ... reasonable to reproduce a 9 year old screenshot. Technology has changed, who knows what your settings were, maybe the jpg algorithm for compression has changed over the years. I believe Hung has always used mediaplayerclassic to take his screenshots and you're using VLC, you could try switching over to see if that gets it any closer to Hung's, but tbh there does tend to be small discrepancies when taking shots with these media players. I've always used Virtualdub myself because in theory that should be a more "raw" way of extacting frames from a film, but I remember back in the day we discovered that screenshots from certain versions of Vdub were redder IIRC, so you're never sure. These days I always use Vdub to take screenshots from blu-ray and I've never had a complaint. With regards to compression: Unless you're doing something drastic then saving as jpg rather than png shouldn't affect the colours of the image. BTW given the length of time betweenHung's grabs and yours and the advancements in media players I would probably put more stock in your screenshot than Hung's these days tbh. I never really rated mediaplayer classic as a screenshot taker back in the day, it's a little better now. Also bear in maind that your graphics card settings can also affect screenshots taken in media players in particular. Actually, since posting the above I've had a chance to look at both yours and Hung's screengrabs on my PC and your PNG screenshot is more accurate, there's little if any difference in colour, it's just that Hung's grab (which is only a 52kb jpeg, so very compressed) is hazier due to the compression, that's very typical of eary mpc-hc jpg grabs. Actually I'd say I probably took that screencap with powerdvd (7?) but I'm not 100% sure. PowerDVD you get the choice (IIRC) of uncompressed (bitmap I think) or compressed, imo it's always best to go uncompressed and then compress it yourself in another app where you can control the amount of compression and figure out the right amount without compromising detail. I reckon 52kb or thereabouts for that grab at that resolution was really pushing it in terms of quality, which is probably why it's a little bit hazy compared to the newer png grabs. Thanks for pointing that out Shingster. There sure is a lot to debate about what makes a proper screenshot. Besides of choosing the right media player (or maybe VDub) and the graphics card I also think that there are many different video codecs for the players which could influence how the picture looks. So do you just want an easy, foolproof way of taking screenshots Mondschein? Vdub is as good as any, but the grabs it takes are in the original format (so stretched for anamorphic screens), I do however still have Lourdes's old batch programs that resizes and saves Vdub screenshots to display format. Basically it's a very accurate way of taking jpg screenshots, it was set up specifically for our old comparison threads. Good to see this type of discussion still exists. I was toying with the idea of a HK film screenshot site but don't have the time. My number one site to compare these things is caps-a-holic. They're always looking for new contributors, if you're interested in being an uploader, this could be really popular for genre fans! Quick question, what's the best DVD out there for Police Story 3: Supercop? All factors considered of course, as I understand that a few versions are cut heavily. How does the US Image Entertainment release of the Shaw Brothers film THE LIZARD compare to the IVL one? Both are crap in their own ways. Wouldn't expect a better release anytime soon. Thanks Mark, so it seems like the Image release has the edge here. Richardrli wrote: Thanks Mark, so it seems like the Image release has the edge here. Yes, but keep your expectations low. 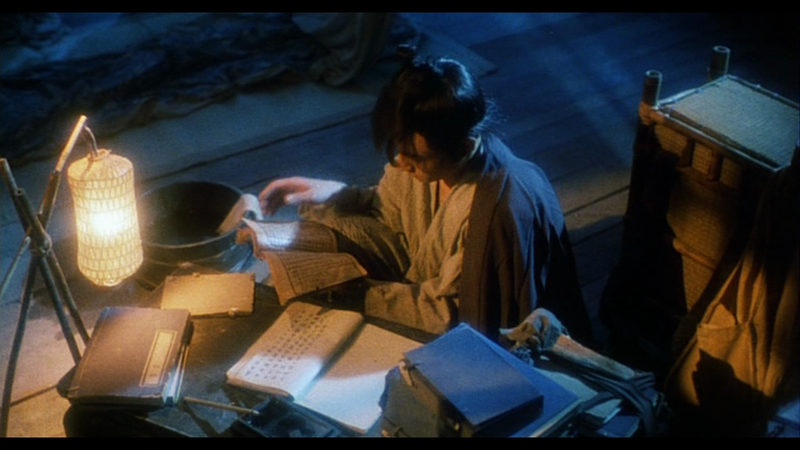 For the TIGER CAGE trilogy of films, did Fortune Star release them individually on DVD or in a box set? And how does the Fortune Star DVD compare to the French HKV versions? I only have Parts 1 and 2. I don't recall if there were any 'issues' such as sync lag. Regardless, probably the best available. Haven't seen the French editions to compare either. Is the Tartan Asia Extreme DVD set of the RINGU trilogy the best?